This entry was posted on Monday, September 29th, 2008 at 1:37 pm	and is filed under art, Geography, Mapping. You can follow any responses to this entry through the RSS 2.0 feed. Both comments and pings are currently closed. Do you know how I can get in touch with the artist who did the world map with the names written into the country? I’d like to talk to him about a project for a nonprofit! Can I use this image as my blog background? If yes what are the conditions? 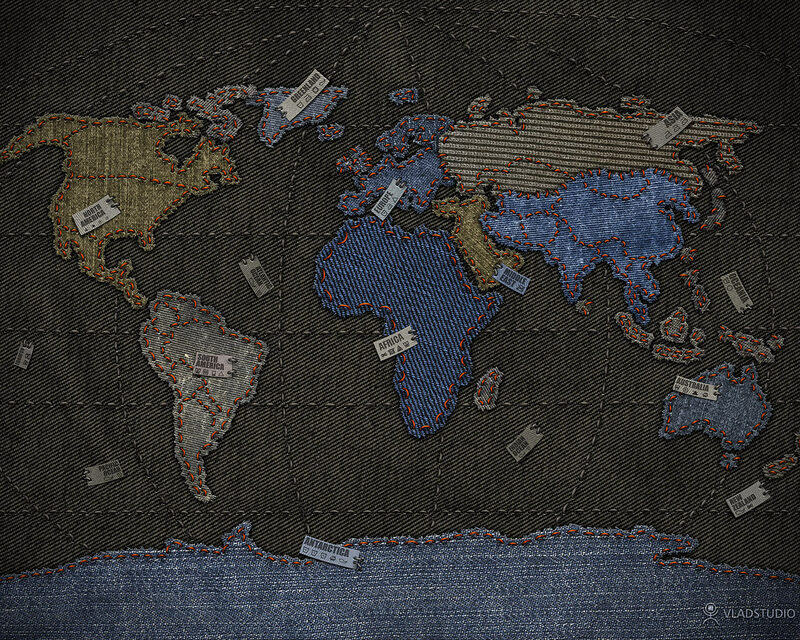 I love this denim map and would love to know if you sell purses made from this material that is identical to the picture or sell framed wall map versions of this.